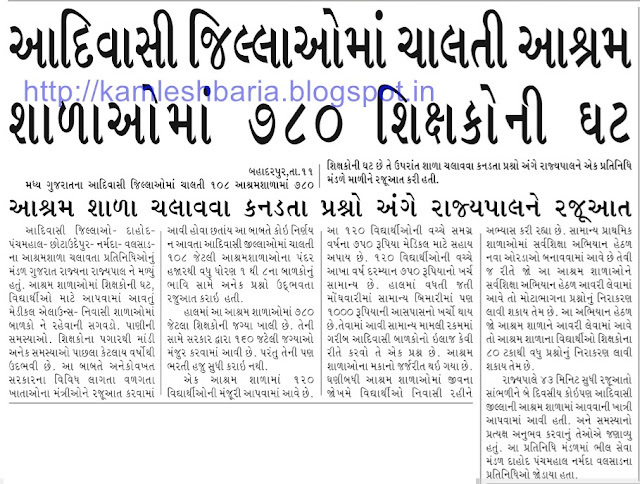 SIXAN NIYAMAK NO LETTER HOVA CHHATA HTAT BHARTI KARATI NATHI.-NEWS REPORT. 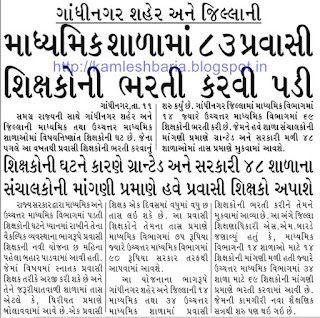 7TH PAY NEWS :- PAGAR VADHARA MATE SECRETORY PANEL NI AAJE BETHAK . 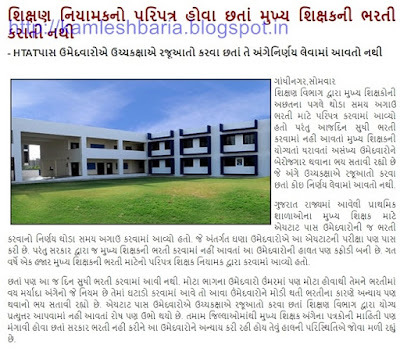 PATAN :- PRIMARY SCHOOLS MA PRAVASI SIXAKO NI BHARTI BABAT PARIPATRA. 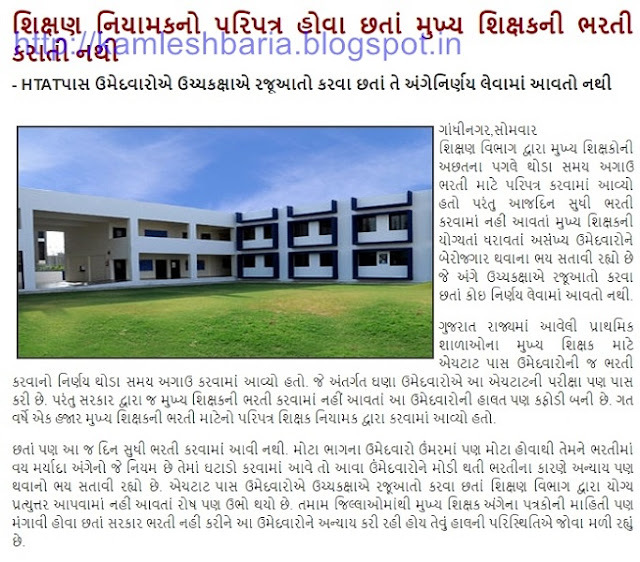 MAHESANA :- SCHOOLS MA KUDRATI AAPATI ANGE PURV TAIYARI BABAT PARIPATRA. 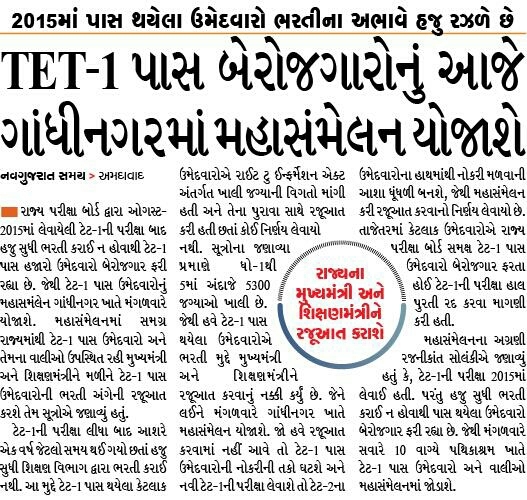 TET -1 PASS CANDIDATES NI BHARTI NAHI KARATA HAJARO UMEDVARO BEKAR. TET:1 Pass Berojagaro Ka Aaj Mahasammelan..! 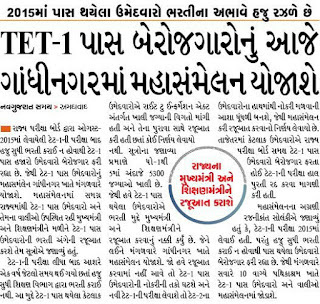 TET 1 Pass Umedvaro Lambe Time Se Bharati ki Waite Kr Rhe he.But TET 1 Exam 23 August 2015 Lene Ke Bad Koi Bhi Bharati 1 To 5 Primary School Me Nhi Ki He.so Iske Chalte Aaj Gandhinagar Me Tet 1 Pass Ka Mhasammelan He. 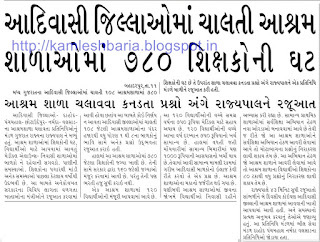 »»Jyad Jankari Ke Liye See News Report. 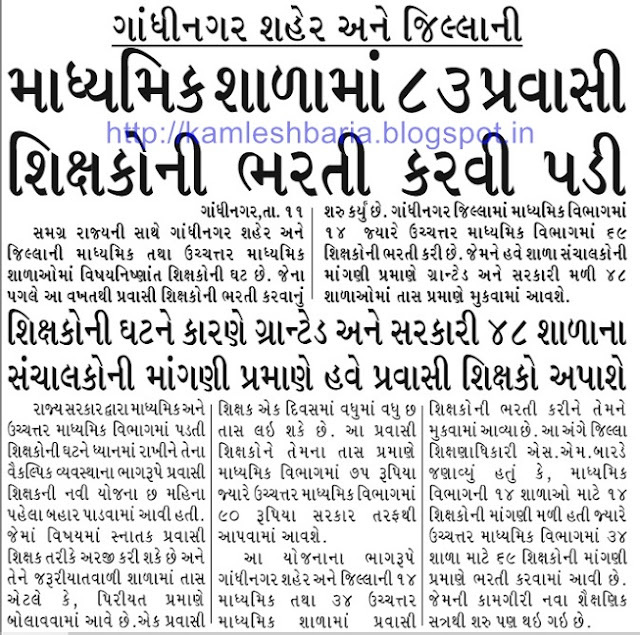 GRANTED SCHOOLS NA FAJAL SIXAKO NE CHHUTA NAHI KARAY.-News REPORT. 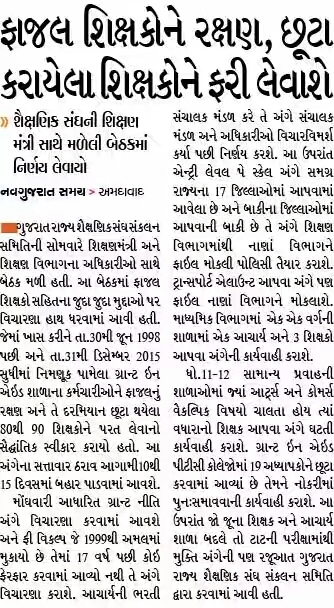 BEST TEACHER AWARD NOTIFICATION YEAR-2016 BY NIYAMAK. 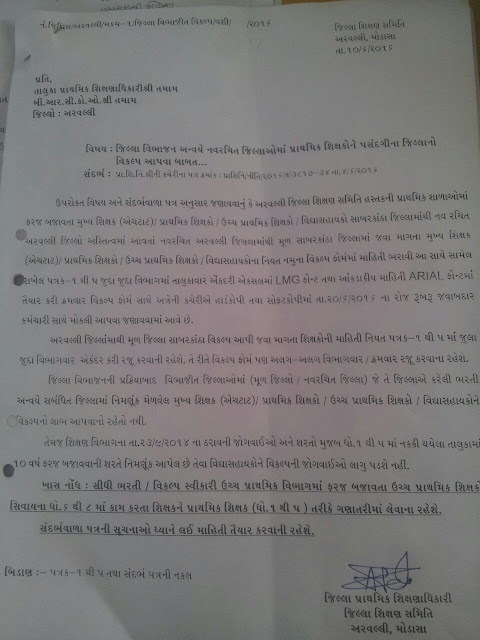 FAZAL SIXAKO BABAT NI SANGH NI AAJ NI BETHAK MA THAYEL CHARCHA NI PRESS-NOTE. 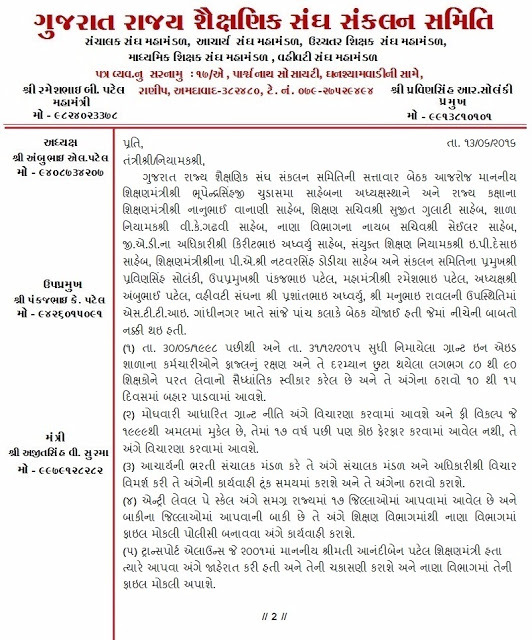 BAOU CCC, CIC, CPCS and Other Result January 2016 Declared. 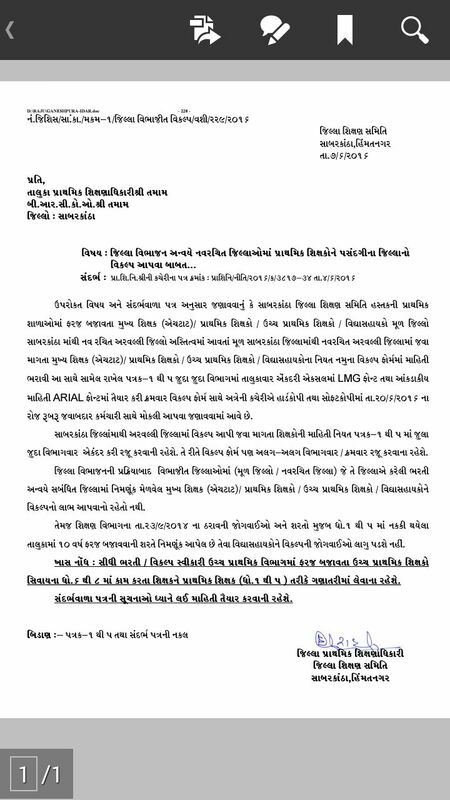 CHHOTAUDEPUR :- NAV RACHIT JILLA VIBHAJAN ANVAYE JILLA VIKALP BABAT PARIPATRA ANE FORM. 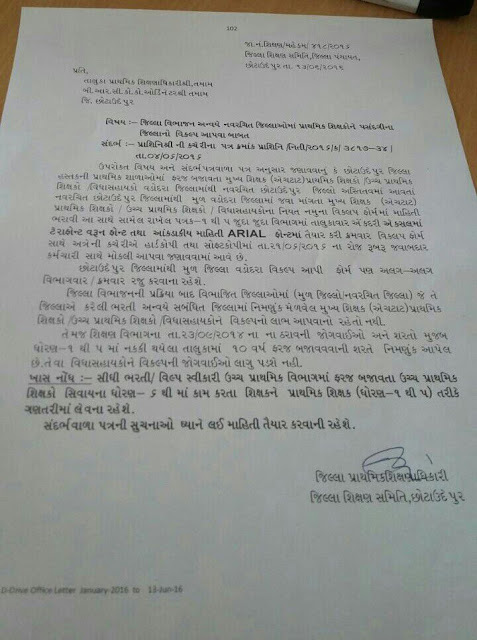 SABARKANTHA :- NAV RACHIT JILLA VIBHAJAN ANVAYE JILLA VIKALP BABAT PARIPATRA ANE FORM. 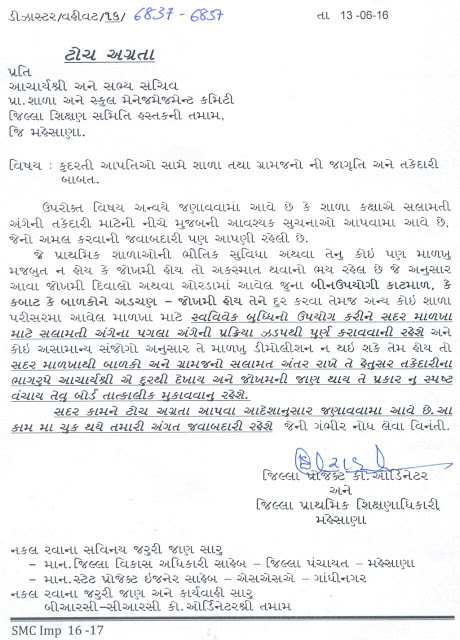 GSERB Shikshan Sahayak / Old Teachers Vandha Arji (Objection Application) date extended. 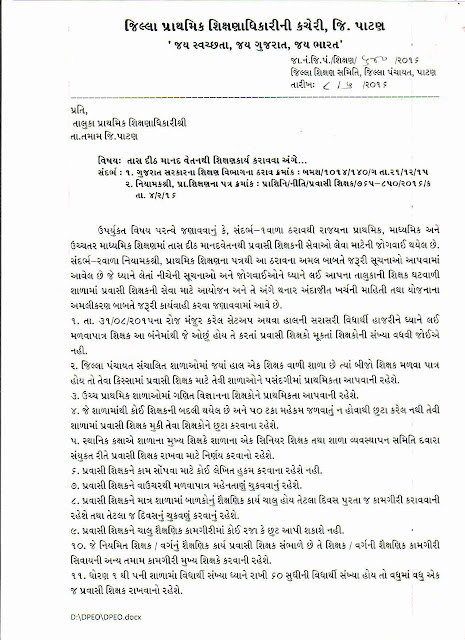 Note : Candidates can submit objection application before 13-06-2016 at 23:59 p.m.
ARAVALLI :- NAV RACHIT JILLA VIBHAJAN ANVAYE JILLA VIKALP BABAT PARIPATRA ANE FORM. AADIVASI JILLAO MA CHALTI ASHRAM SHALAO MA 780 SIXAKO NI GHAT. 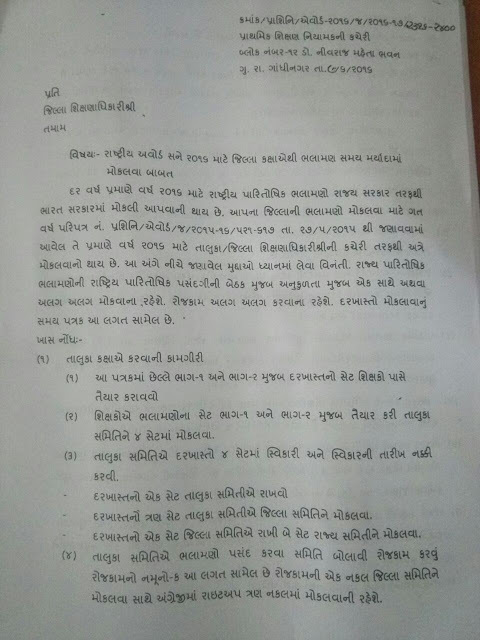 GANDHINAGAR JILLA NI MADHYMIK SCHOOLS MA 83 PRAVASI SIXAKO NI BHARTI KARVI PADI. New Delhi: The meeting of the Empowered Group of Secretaries reviewing the 7th Pay Commission, to finalize the payout to the central government employees did not take place as scheduled earlier on Saturday. The office of the Cabinet Secretary confirmed that the meeting did not take place on Saturday. It did not reveal either when would the secretaries panel meet again to give the final shape to the salaries of central government employees. "The meeting is expected to take place on Tuesday, June 14", said V.P. Mishra, President, Indian Public Service Employment Federation. "When we met the Cabinet Secretary PK Sinha on June 3, he told us that we would be meeting on June 14", added Mishra confirming that the 7th Pay Commission report is said to be finalised soon. The AK Mathur led 7th pay panel report, which was released in November, had raised the minimum pay of central government employees to Rs 18,000 per month from currently drawn Rs 7,000, while the maximum pay recommended was Rs 2.5 lakh per month from Rs 90,000. The employees unions decried the wage revisions suggested by the Commission as the "the lowest in the post independent history of the country", and said a "meager rise of 14% alone was recommended by the Commission to be effective for a long period of ten years." The Empowered Committee of Secretaries, which was set up in January to review the 7th Pay Commission's recommendations, is expected to meet on Tuesday and is expected to finally decide how the monthly package of central government employees will shape up. "We have give our recommendations, and the Cabinet Secretary told us that we are looking into these", added Mishra. "It (Empowered Committee of Secretaries) is a divided house, but good number of people agree that what we are saying has a point", said KKN Kutty, President, Confederation of Central Government Employees & Workers. The Confederation is demanding the minimum salary of Rs 26,000 per month. " 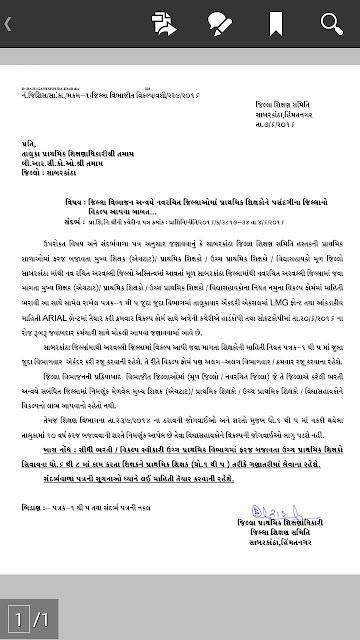 The Staff side had computed the minimum wage as on 1.1.2014 at Rs. 26,000, The rates were taken on the basis of the actual retail prices in the market as on 1.1.2014 (average prices of 8 Cities in the country) substantiated by the documentary evidence of Cash bill obtained from the concerned vendors. As on 1.12016, the minimum wage work out to Rs. 29339, rounded off to Rs. 30,000", said the Confederation in its Charter of demand. It has done everything possible to get the maximum payout under 7th Pay Commission. The Confederation has decided to go on strike from July 11, if its charter of demand are not met by the government, and has already given the strike notice to the Cabinet Secretary. There are nearly 47 lakh employees and over 50 lakh pensioners in India on central government payrolls currently.